This exciting and intensive study for world renowned and pioneering neurologist Dr. Margaret Bauman is intended to create a new comprehensive multidisciplinary facility for the diagnosis, treatment, and study of neurological diseases, particularly autism and related disorders. The two story 38,620 s.f. facility incorporates various spaces for research, diagnosis, and working with families in a warm and non-threatening architectural environment. Spaces include conference and seminar spaces, medical exam suites, labs, medical research spaces, and various family support areas. The open interiors and strong relationship with outdoor activities allows for a collaboration between patients, families, medical experts, and researchers. 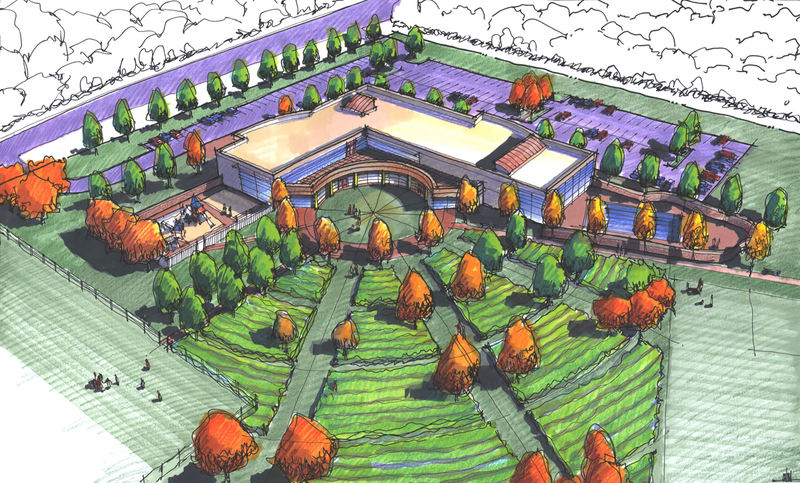 Incorporated within the master plan are various outdoor spaces including various play spaces, equestrian center, aquatic facility, and vocational gardening. The vocational training space created for both young and older adults who suffer from autism and other related disorders reflects Dr. Bauman’s brave commitment to serve individuals of all ages.